Finally, A Solution On How To Clean My Drains! How can I clean my drain? A piece of equipment – This can be anything from a basic plunger to a complex and very expensive jetter. Many of the cheaper items can be purchased your local hardware store. Watch the pros! Check YouTube for demonstrations and how-to videos. Proceed with caution! Be careful, you don’t want to cause any damage to your home. Don’t hesitate to ask for help! We’re just around the corner and can be to your place in no time if need be. Why should I clean my drain? Good question. Why should you clean your drain on a frequent basis? Because preventative care is the best solution to avoiding plumbing problems. While we can’t see through our walls and into our pipes to see how clogged they may be, we can occasionally clean them out by using a chemical dissolvant or piece of equipment. That way you’re taking the steps necessary to make sure everything stays nice and clean. What should I do if I need help cleaning my drains? So what happens if you’ve done everything you can and it’s just not working? If that’s the case then Stop Freakin…Call Beacon! We can help with the cleaning of your drains and can be the solution to all your plumbing problems! Call us at (206) 720-2040 or visit us online by clicking here! Beacon Plumbing has been serving the Seattle area for almost 15 years now. We have helped countless residents and over time we have grown to become the number one plumbing company in the area. We specialize in solving all sorts of heating and plumbing problems so call us today at (206) 720-2040 and we can be at your place in no time. Don’t let another day go by without calling us to come out and help. You’ll be glad you did! In Seattle & Need Some Drain Cleaning Done? Sluggish drains – This can mean that your drains are clogged, but not completely. Water is still able to pass through your clogged pipes, however, it can only pass slowly. This isn’t an emergency situation, although, it should be dealt with as soon as possible. Odd noises – Sometimes a gurgling noise can be heard coming from your pipes if they are clogged. Dark water – You’ll see dark and very dirty water coming out of your drains when your pipes are completely clogged. Whether it’s an emergency or just a routine check up, give us a call! 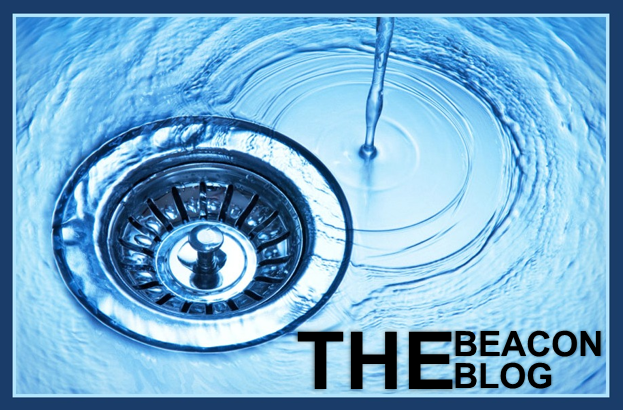 We Are In Seattle & Can Help With Your Clogged Drains! So next time your drains are clogged, Stop Freakin…Call Beacon! We provide emergency service day or night. Feel free to call or visit our website by clicking the link below. Either way, we hope to hear from you soon! Did you know Beacon Plumbing has been around now for almost 15 years!? We are proud to be a trusted contractor in the Tacoma community, and we hope to earn your business as well. We specialize in anything relating to plumbing and heating, and we’re eager to help. So call us today at (253) 473-3294 and we can be there within the hour! In Tacoma & Need Water Heater Repair? Has your water not been heating up like it usually does? Have you noticed your heater leaking or making odd noises? If you answered yes to any one of the following, give us a call! At the very least we can stop and take a look for you. We Are In Tacoma & The Number One Heating Contractor! Arrive on time – We want to respect your schedule! Be courteous and professional – All technicians will be in their uniforms and maintain a well kempt appearance. Provide sound advice – Expect a thorough analysis and explanation behind whatever problem you’re experiencing. Present affordable options – Money is always tight and we want to be sensitive to that. So don’t go another day with a broken water heater. We can be there within the hour and show you why we’re the best contractor in town! When trouble strikes, it usually does so without consulting you and your schedule. It always seems to come at the most inconvenient of times and can cause such a headache. That’s why we are available 24 hours a day, 7 days a week, and provide emergency service to all our customers. When you’re looking for a contractor, we hope that we are the contractor you call. So next time you find yourself in a tight spot, Stop Freakin…Call Beacon! Day or night, we are here and we can help. Call or click today! Our website it listed below. We hope to hear from you soon! Have your sewers been acting up lately? Do you have a sneaking suspicion that something may be wrong with it but you’re not completely sure? Gives us a call today at (253) 449-7485 and we’ll have someone at your door within the hour. We’ve been helping the community of Des Moines for almost 15 years and we can’t wait to help you too! In Des Moines & In Need Of Sewer Repair? Notify a professional immediately – An experienced professional can provide you with the answers to your problem as well as the necessary solutions to fix it. Avoid doing it yourself – While some plumbing issues are relatively easy to fix, others are much more difficult. Attempting to fix something of this nature may very well cause more damage and cost you more in the long run. So don’t let things go from bad to worse, call us today! We Are In Des Moines & Can Fix Your Broken Sewer! So no matter what the problem might be, no matter what appears to be broken, let us know and we can help you fix it! We Are The Emergency Plumbing Company To Call! So the next time you’ve got a broken pipe, Stop Freakin…Call Beacon! We are available 24 hours a day and 7 days a week. Rain or shine we can be to your home or place of business in Des Moines in no time. Let us show you why we are the emergency plumbing company to call! You can also visit us online by clicking the link below. We hope to hear from you soon! Summer is upon us! We have seen some high temperatures recently and, unfortunately, we haven’t had a lot of rain. This can equate to some pretty hot and miserable days. Nevertheless, with an efficient, portable air conditioning unit it won’t matter how hot it gets! You’ll be able to enjoy the sun and still stay cool all at the same time. Call us today at (206) 720-2040 and we can send someone out to you today who can work on your unit. We are available 24 hours a day and 7 days a week with locations in Seattle, Everett, Bellevue, and more! We can provide service just about anywhere! Looking For A Portable A/C Unit? So give us a call today and see for yourself why we’re the number one AC company to call for Seattle, Everett, and Bellevue! So no matter what it is, give us a call to see if we can help! Fortunately we are available in Seattle, Tacoma, Bellevue, Everett, and other surrounding cities. We want to make sure we are close by whenever you have something you’d like taken care of. So next time your portable air conditioning unit goes out, Stop Freakin…Call Beacon! We’ll be to your Seattle, Everett or Bellevue location today so you can enjoy a cool, rest of your Summer. We’re available on the phone and online. You can contact us on our website by clicking the link below. We hope to hear from you soon! Beacon Plumbing has been in business for over 10 years now. We have become a local icon here and in other surrounding areas. Many people have heard of us and know that we deal with plumbing issues. However, not many people are aware that we can also work on your hot water heater. We are a large heating contractor and one of the largest in the area. Our staff is highly trained and able to resolve any issues you may be currently experiencing. So call us today at (253) 473-3294 and we can be to your location in no time. Typically we can arrive to a job in under an hour and a half in order to respond as quickly as you may need assistance. Are You In Tacoma & Need Help With Your Hot Water Heater? If your hot water heater is not working properly and your Tacoma home or business is in need of a new one, we can help! As a successful contractor we have technicians that can diagnose exactly what is going on with your heater. We are able to repair, remove, and even replace your hot water heater. Has it been making strange noises? Has it been a while since it was last serviced? If you answered yes, then give us a call! We Are In Tacoma & The Number One Heating Contractor In Town! Notify our customers 30 minutes before we arrive that we will be at their home or place of business soon. Conduct an in-depth analysis of the job in order to find the root problem. Present affordable options before any work is done. This way our consumers will always get the same, great experience. So if your showers have been chilly and not as you would like, Stop Freakin…Call Beacon! We can make those showers nice and hot, hot, hot in no time! We are available 24/7 and can provide same-day service. Let us show you why we’re the number one contractor in the area! Call or click today!